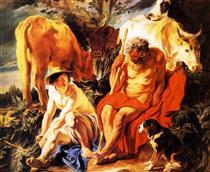 Jacob (Jacques) Jordaens (19 May 1593 – 18 October 1678) was a Flemish painter, draughtsman and tapestry designer known for his history paintings, genre scenes and portraits. 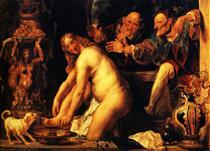 After Peter Paul Rubens and Anthony van Dyck, he was the leading Flemish Baroque painter of his day. Unlike those contemporaries he never travelled abroad to study Italian painting, and his career is marked by an indifference to their intellectual and courtly aspirations. 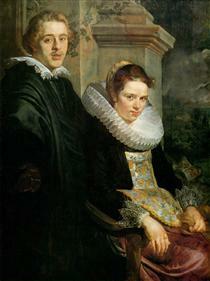 In fact, except for a few short trips to locations in the Low Countries, he remained in Antwerp his entire life. 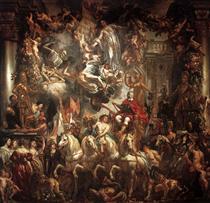 As well as being a successful painter, he was a prominent designer of tapestries. 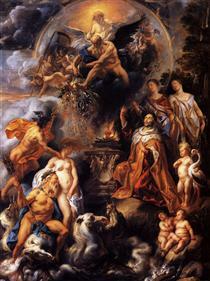 Like Rubens, Jordaens painted altarpieces, mythological, and allegorical scenes, and after 1640—the year Rubens died—he was the most important painter in Antwerp for large-scale commissions and the status of his patrons increased in general. 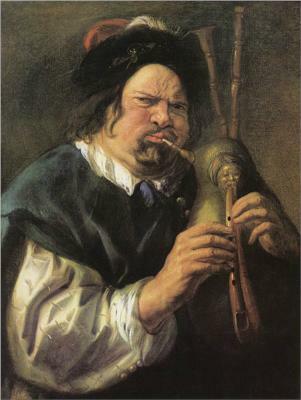 However, he is best known today for his numerous large genre scenes based on proverbs in the manner of his contemporary Jan Brueghel the Elder, depicting The King Drinks and As the Old Sing, So Pipe the Young. 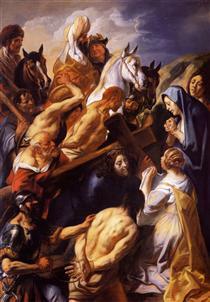 Jordaens' main artistic influences, besides Rubens and the Brueghel family, were northern Italian painters such as Jacopo Bassano, Paolo Veronese, and Caravaggio. 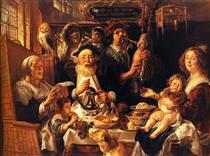 Jacob (Jacques) Jordaens was born on 19 May 1593, the first of eleven children, to the wealthy linen merchant Jacob Jordaens Sr. and Barbara van Wolschaten in Antwerp. 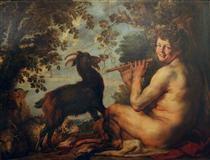 Little is known about Jordaens' early education. It can be assumed that he received the advantages of the education usually provided for children of his social class. This assumption is supported by his clear handwriting, his competence in French and in his knowledge of mythology. 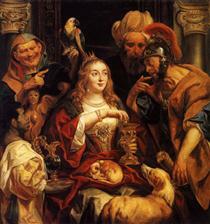 Jordaens familiarity with biblical subjects is evident in his many religious paintings, and his personal interest with the Bible was strengthened by his later conversion from Catholicism to Protestantism. 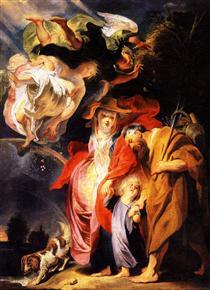 Like Rubens, he studied under Adam van Noort, who was his only teacher. 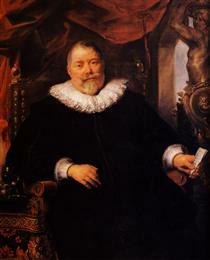 During this time Jordaens lived in Van Noort's house in the Everdijstraat and became very close to the rest of the family. After eight years of training with Van Noort, he enrolled in the Guild of St. Luke as a "waterschilder", or watercolor artist. This medium was often used for preparing tapestry cartoons in the seventeenth century. 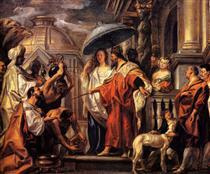 although examples of his earliest watercolour works are no longer extant. 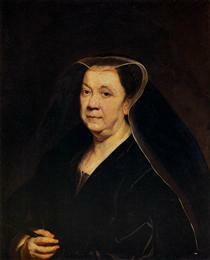 In the same year as his entry into the guild, 1616, he married his teacher's eldest daughter, Anna Catharina van Noort, with whom he had three children. 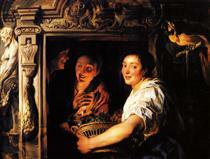 In 1618, Jordaens bought a house in Hoogstraat (the area in Antwerp that he grew up in). 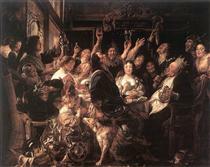 He would then later buy the adjoining house to expand his household and workspace in 1639, mimicking Rubens' house built two decades earlier. He lived and worked here until his death in 1678. 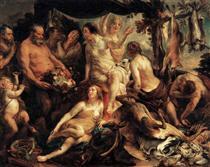 Jordaens never made the traditional trip to Italy to study classical and Renaissance art. Despite this, he made many efforts to study prints or works of Italian masters available in northern Europe. 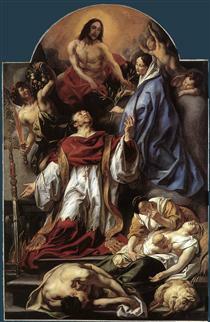 For example, Jordaens is known to have studied Titian, Veronese, Caravaggio, and Bassano, either through prints, copies or originals (such as Caravaggio's Madonna of the Rosary). His work, however, betrays local traditions, especially the genre traditions of Pieter Bruegel the Elder, in honestly depicting Flemish life with authenticity and showing common people in the act of celebratory expressions of life. 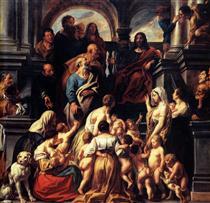 His commissions frequently came from wealthy local Flemish patrons and clergy, although later in his career he worked for courts and governments across Europe. Besides a large output of monumental oil paintings he was a prolific tapestry designer, a career that reflects his early training as a "watercolour" painter.